Bound album of an unidentified person. This appears to be an album put together by a young Australian gentleman when on tour in Europe in 1911-1918? Consists mostly of published postcards of European places. Includes some postcards of Sydney, Adelaide, and Melbourne. Original photographs of landscapes, the GSFC Australian rules football club and a cricket team. Many sent from serviceman on active service.? Bound album of an unidentified person held in the Monash University Library Rare Books Collection. Digitised by Monash University Library in 2014. Find this item in the Library catalogue. 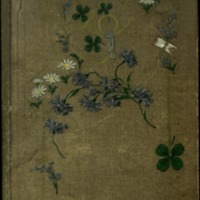 1 album (175 photographs) 41 x 25 cm.